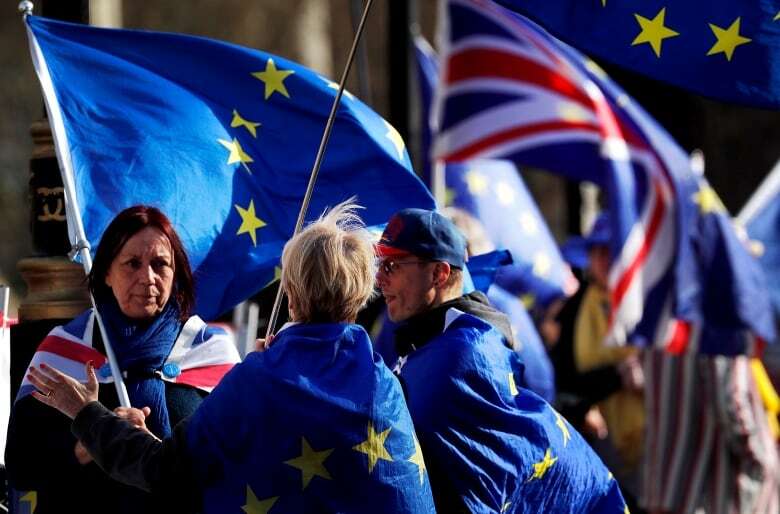 British lawmakers will get to vote on eight widely differing options for the United Kingdom’s departure from the European Union. House of Commons Speaker John Bercow selected the motions on Wednesday from 16 proposals submitted by lawmakers. The ones to be considered include calls to leave the EU without a withdrawal deal, to stay in the EU’s customs union and single market, to put any EU divorce deal to a public referendum, and to cancel Brexit if the prospect of a no-deal Brexit gets close. The “indicative votes” are intended to reveal if any kind of Brexit plan can command a majority in Parliament. Lawmakers have twice rejected Prime Minister Theresa May’s Brexit deal with the bloc. The government has promised to consider the outcome of the votes, but not to be bound by them. May is expected to indicate a date for quitting as the price for getting her twice-defeated Brexit deal ratified at a showdown with Conservative Party lawmakers at a meeting of the 1922 Committee in Westminster at around 1 p.m. ET. The 1922 Committee consists of all back-benching Conservative MPs and carries considerable influence over the party’s leadership. May told lawmakers she could fulfil her pledge to take Britain out of the EU if they back her divorce deal this week. The government has said it will only bring the twice-defeated deal back to Parliament for another vote if it believes it will be successful. The EU agreed to delay Brexit until May 22 if Parliament agrees the deal this week. “We can guarantee delivering on Brexit if, this week, he and others in this house supports the deal,” May told a lawmaker in Parliament on Wednesday when he questioned the delay to Brexit. She said other options would lead to delay and uncertainty, and risked never delivering Brexit. The opposition Labour Party said it will support Brexit proposals that keep options on the table to prevent a bad Conservative exit deal or a “no deal,” according to the party’s spokesperson. “In line with our policy, we’re supporting motions to keep options on the table to prevent a bad Tory deal or no deal,” the spokesperson said. Lawmakers will vote at 3 p.m. ET on the eight proposals chosen by Bercow. Results will be announced after 5 p.m. ET. Conservative lawmakers will be able to vote with their consciences, a so-called free vote, when considering alternative Brexit options later on Wednesday, two of them said. Two Conservative lawmakers, Kevin Hollinrake and James Cartlidge, said on Twitter that May’s parliamentary enforcers, or whips, had said they can have a free vote. Cartlidge added that May’s cabinet team of top ministers would abstain on the different options. The debate comes two days after lawmakers took control of the parliamentary agenda away from the government amid concern May was unwilling to compromise. The uncertainty around Brexit, the United Kingdom’s most significant political and economic move since the Second World War, has left allies and investors aghast. Opponents fear Brexit will divide the West as it grapples with both the unconventional U.S. presidency of Donald Trump and growing assertiveness from Russia and China. Supporters say while the divorce might bring some short-term instability, in the longer term it will allow the United Kingdom to thrive if cut free from what they cast as a doomed experiment in European unity. May’s deal, an attempt to soothe the divide of the 2016 referendum by leaving the formal structures of the EU while preserving close economic and security ties, was defeated in Parliament by 149 votes on March 12 and by 230 votes on Jan. 15. It is unclear if Parliament’s attempt to find an alternative will produce a majority. Options to be voted on also include a public vote on any deal or an enhanced Norway-style deal. Brexit supporters fear the entire divorce is at risk. The government could try to ignore the votes, though if May’s deal fails then an election could be the only way to avoid Parliament’s alternative proposal. She still hopes to get her deal, struck with the EU in November after more than two years of negotiation, approved. To succeed, May needs at least 75 lawmakers to come over — dozens of rebels in her Conservative Party, some opposition Labour Party lawmakers and the Northern Irish Democratic Unionist Party (DUP), which props up her minority government.